Lady Laura Boxford lives with her pug, Parker in the retirement complex of Wellworth Lawns, formerly her family home. One day she and her friend Venetia see the ancient actor, Sir Repton Willowby arriving. He’s Venetia’s cousin by marriage and Venetia says he murdered his wife. 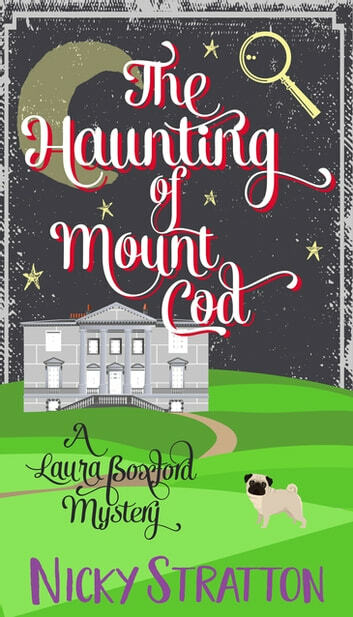 He lives at the Edwardian pile, Mount Cod and he says he’s being haunted by the ghost of an eighteenth century serving wench called Rosalind. Laura is convinced he’s a charlatan using the ghost as a ruse for finding a new wife. 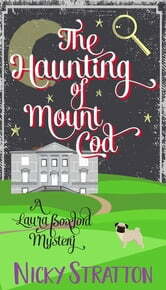 She determines to get to the bottom of the mystery on account of Venetia’s daughter who stands to inherit Mount Cod. But did Sir Repton murder his wife and is the house haunted?